She was just a woman in a crowd listening to Jesus teach. The Lord showed the people how to pray with persistence and the need to keep asking for the good gifts from above. He cast out a demon from a mute who then began to speak. Many marveled at His power while others accused Him of casting out demons by Beelzebub. Jesus rebuked those who challenged Him with stern words of warning. Through it all stood a woman soaking in all that Jesus said and did. She could tell this man from Nazareth was unlike any teacher she had ever heard. He spoke with simplicity, kindness and yet forceful when challenged. The woman quietly watched the character of His speech, the tone of His voice, taking note of how He moved the crowd with His teaching. It was an amazing thing to watch. It was more amazing to hear Him talk. As if in a spontaneous expression of praise she bursts forth how blessed the world was for the woman who brought such a man into this world. In His true fashion of humility, Jesus deflects the comment to the work He had come to accomplish for His Father. The Jews would eventually bring about the death of Jesus but there were many who loved Him and followed Him because of His teaching. These were hearts that were fertile for the teachings of the carpenter’s son. Jesus dealt with the hypocrisy of the Pharisees, scribes, and Jewish leaders but He really connected with the common people. Here is an unknown woman the Holy Spirit does not identify raising her voice in praise of the man who stood before her. Jesus did not rebuke her but channeled her comment to remind the people why He had come. His mission was to bring men to His Father. Hearing the word of God and keeping it was the most important thing they could do. No doubt, the woman’s comment reflected in the mind of Jesus of His dear mother who brought Him into the world caring for His every need. Those days when He was a baby learning to walk and the soothing hymns Mary would sing to Him flooded His mind. 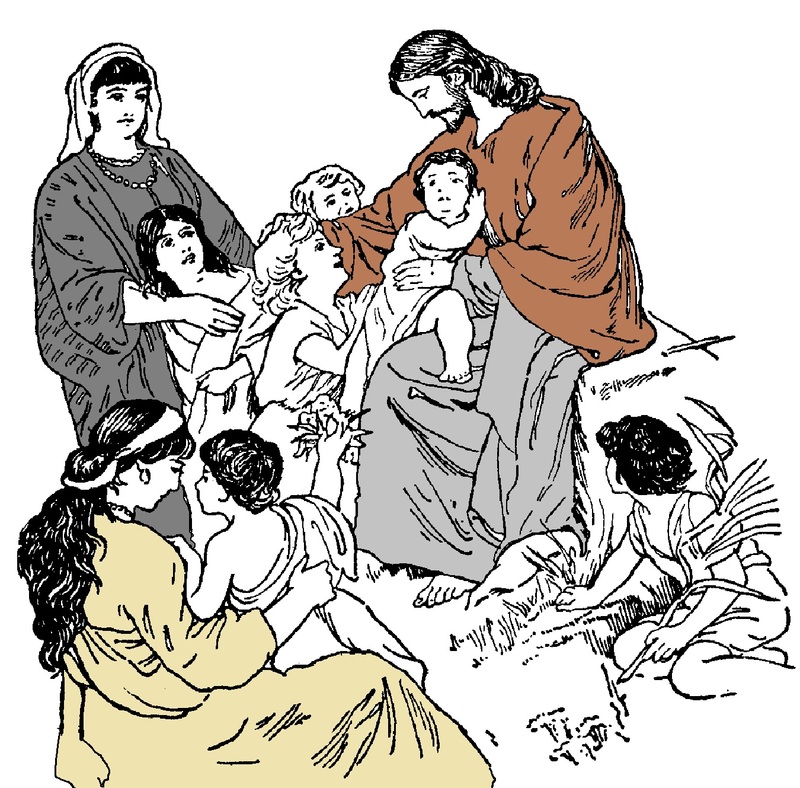 Jesus loved His mother and Joseph very much. On the cross He stopped everything to tell Mary how much He loved her and asked John to care for her. The unknown woman who raised her voice did so because she could tell there was something special about Jesus. The record does not say but did she come up to Jesus later and hug his neck thanking Him for His life and kind words? Jesus received a lot of abuse but He needed to hear these words also. There can be little doubt the simple praise of a woman in the crowd gave Jesus pause to thank His Father for the good people in the world who loved Him. We need a lot of unknown women in the crowd of humanity to see the purity of Jesus and acknowledge such. There are many people like this woman. Let us see the humble character of the man from Nazareth and lift up our voices to the throne of the Father thanking Him for giving us the life of His only Son. Never let a day go by that we do not thank the Heavenly Father for the gift of Jesus. Learn His words. Listen to His teachings. Walk in His steps. Come to know the Son of God. And then you too – like the unknown woman – will lift up your voice and say, “Blessed is the womb that bore You, and the breasts which nursed You.” Thank you Jesus.